In our learning approach, the learner is at the heart of the learning process. We support a participatory approach to learning and encourage each learner to take ownership over the learning process. The CEF as a knowledge hub provides a platform for public officials to meet and connect. The CEF learning expert takes an important role as a curator, facilitator, moderator, co-creator and observer who engages and helps the group to understand the learning objectives and assists them to achieve these objectives. As technological innovations affect how people learn, we are constantly upgrading and exploring new learning spaces. Our physical and online learning spaces are engaging learning environments where participants are ready to open up and connect. We understand the complexity of today’s society, which highly influences when, where and how people learn. 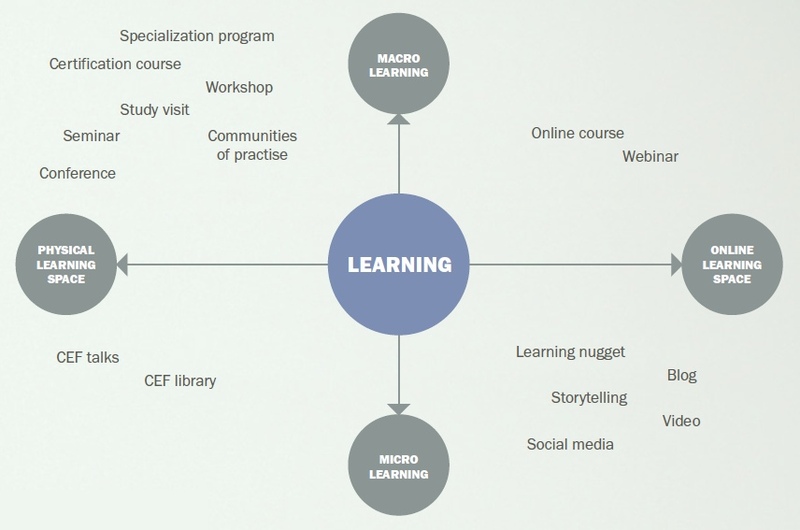 We categorize our learning events into two different learning interventions: microlearning and macrolearning. Our learning solutions are clustered within these two interventions by duration and degree of participant’s engagement. Microlearning depicts short and strongly focused learning experiences, for example learning nuggets that take 10 minutes or less to follow and learners get immediate help or answers. Macrolearning gives an opportunity to learn a whole new domain – it requires learners to commit more time and effort. 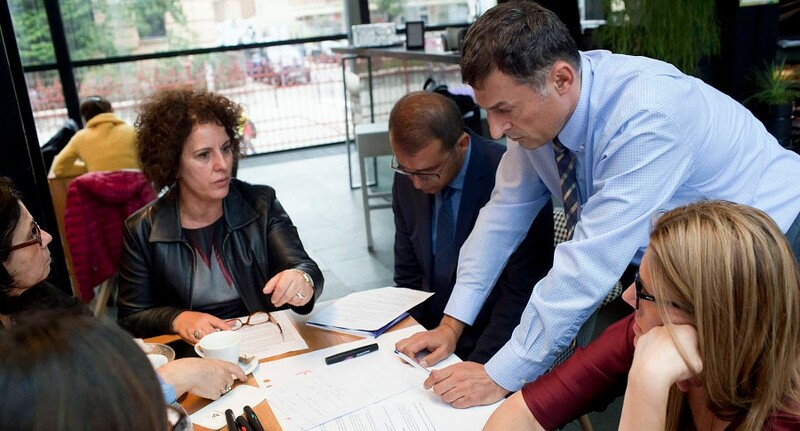 Our learning events are tailor-made, structured and collaborative. All three dimensions are taken into account in the process of capturing, packaging and sharing. We capture the learning needs and knowledge of individuals and institutions through listening, asking, observing and working closely with our constituency. We tailor our learning program to regional reform agendas and define specific learning objectives for focused orientation when designing a learning event. After identifying the context, learning needs, participant profiles and objectives, and setting the duration and degree of individual engagement, we package unique learning events. We mix some of our face-to-face and online learning into blended learning events. Blended learning combines the flexibility of online and lively interactive environment with a physical learning space. The learning process is expanded and interaction among learners intensified. We report on the results of our activities, showcase the region’s successes, and share our experience at international events and with peer institutions through a variety of channels, such as program publications, annual reports, and video interviews. As monitoring and evaluation constitutes an important part of our learning approach, we use a range of tools to measure participants’ feedback during and after each learning event. Feel free to download your brochure and get firsthand information about this program.